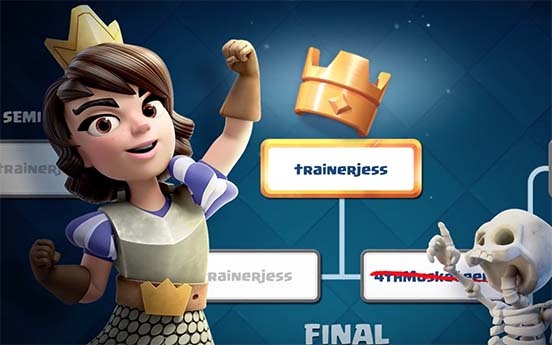 As Clash Royale evolves, the meta changes along with it. Here are the seven cards I believe have the most influence in the current game. 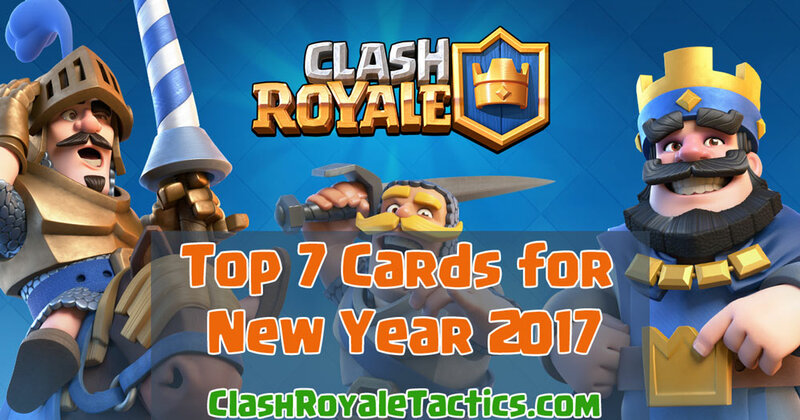 Hare are Best Seven cards in Clash Royale to use in 2017! I will introduce the card, along with its stats, explain how to utilize it properly, and then explain why it is so effective in the current meta. Read and enjoy! This guide has been adjusted for changes in Jan 2017 Patch. Strategy: Use this to stop single target troops such as a prince or a Mini P.E.K.K.A. You can bait his/her zap with something like goblins and deploy this afterwards. Place this in front of your tank to distract an inferno tower and allow the tank to take it out. 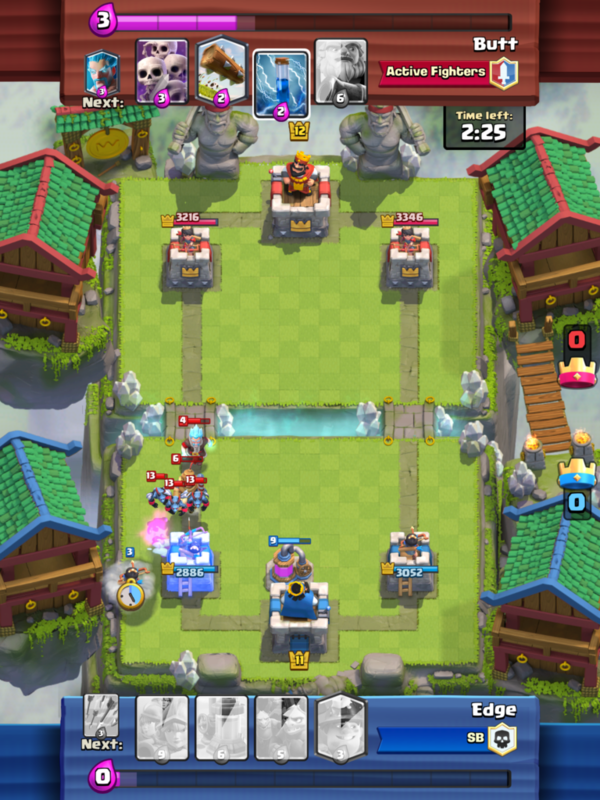 If placed in a zap/arrows bait deck (princess, minion horde, goblin barrel, skeleton army), it can leave your opponent dumbfounded. In this case, POTENT deploys his skeleton army to surround the royal giant, shredding it within two seconds. Conclusion: A bit of a surprise! 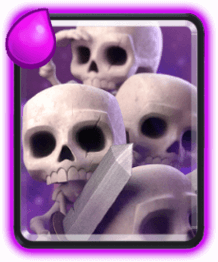 While not as effective at higher trophy levels, the skeleton army’s recent buff has made it especially popular in lower arenas, providing the user with a horde of high level skeletons for only three elixir. It can also be used as zap or arrow bait, or combined with a miner for a dangerous push. As always, it counters single target troops, and the buff has no doubt helped it a lot. Skeleton Army ie exccelent to take out high elexir Tank-type units like Golem / Giant / Prince / Giant Skeleton, etc. And it would take a much higher spot in this list, if it wasn’t so succeptable to Zap / Arrows. Strategy: Graveyard + Tank = Destruction. Use this to your advantage. 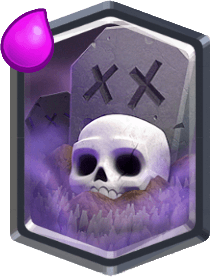 Distract the tower and the opponent’s troops with a giant or golem, and place your graveyard to destroy the tower. It can also be utilized as chip damage if your opponent’s tower is on its last leg. Conclusion: One of the newer cards to come to the game, the graveyard has inserted itself immediately into many decks, serving as a threat to any deck. If coupled with a tank to distract, it can devastate towers if not taken care of. It spawns twenty skeletons over ten seconds, forcing your opponent to react quickly and decisively. 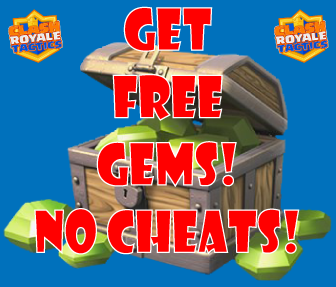 How to Get Free Gems – 100% legit, no cheats or hacks! Strategy: Place this behind your tower to take out small troops such as minions or goblins. Put some small troops in your deck to protect her from the miner. 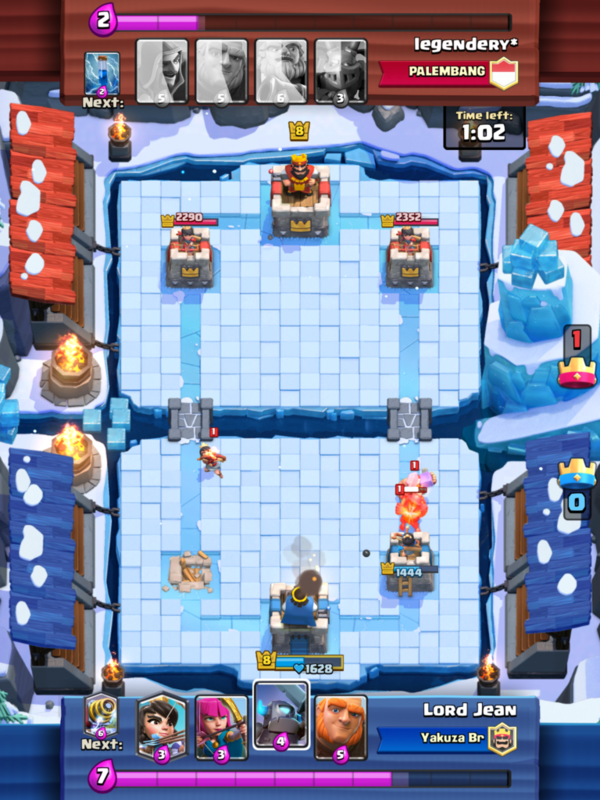 If there’s less than 140 health left on your opponent’s tower, place her at the edge of the bridge to deal quick chip damage. Great as a long range support unit for your push. 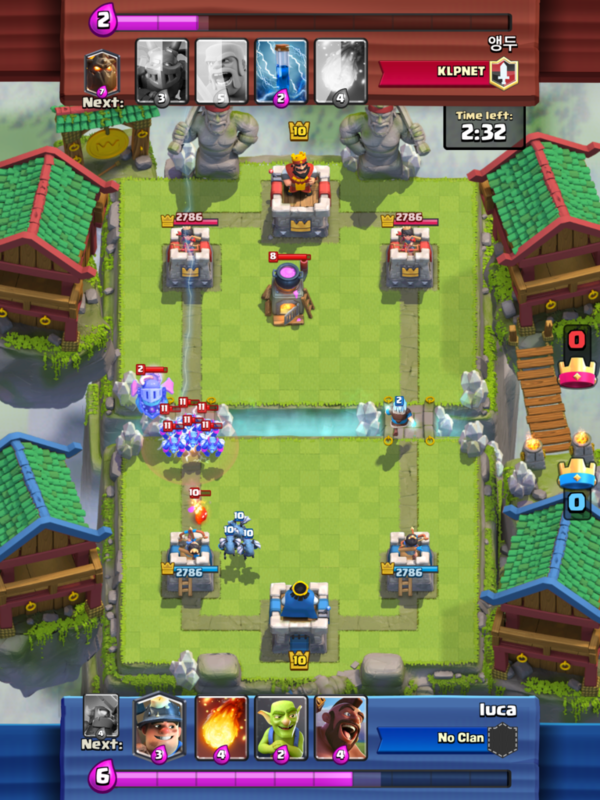 The princess serves as a counter for the furnace, not allowing the fire spirits to reach the tower. If timed correctly, it can damage the furnace while killing the fire spirits when they spawn. Conclusion: While not as overpowered as she once was, the princess still provides excellent value. 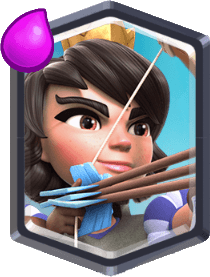 She holds the highest range of any card in the game and is great at defense and offense, taking out small troops such as skeletons, goblins, and minions. She is capable of chipping down towers if left unattended, but her low health and the emergence of the log makes her vulnerable to positive elixir trades. Strategy: The Mega Minion is excellent. Combine it with a tank such as a giant or lava hound to get its full potential. Barbs? Mini Pekka? No problem. Place your mega minion down and watch as the flying menace devours your enemy. It is especially effective due to the lack of air-targeting troops in most decks. This picture sums up the mega minion perfectly. It is in all six of the decks featured on TV Royale. Conclusion: The Mega Minion is an excellent support troop, acting as a sort of flying Mini P.E.K.K.A. While it was nerfed in the recent balance changes, it still remains in most of the top players’ decks due to its versatility in a number of decks, including siege and control decks. While it is susceptible when alone, it is lethal when combined with a tank such as a giant or a lava hound. This makes it a very useful card in the current meta. Strategy: Where do I start? The zap is effective in almost any scenario. 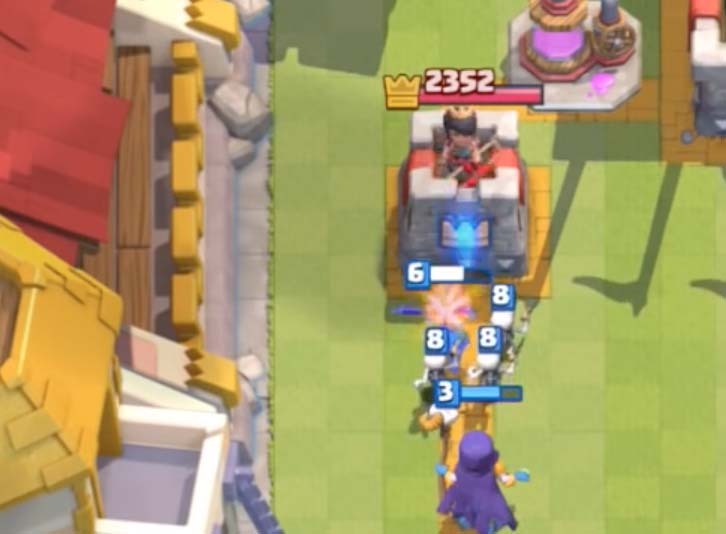 Zap the tower and his troop to allow your hog rider an extra two hits off on the tower. Reduce a minion horde to practically zero hit-points with a simple zap. 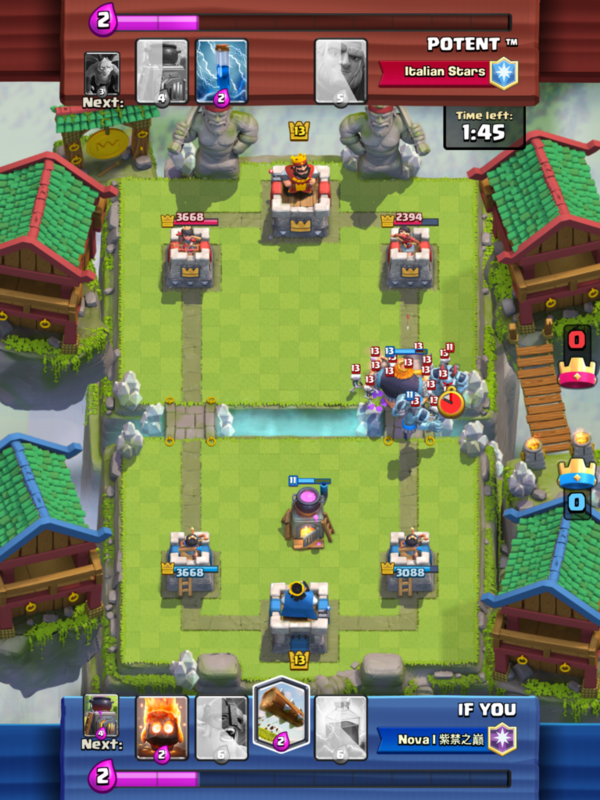 If confronted with a minion horde, zap it as it crosses the bridge to ensure that it will get no damage on your tower. Use it to reset a sparky, inferno dragon, or inferno tower. I use the zap to stop the minion horde in its tracks and to reset the inferno dragon’s charge. 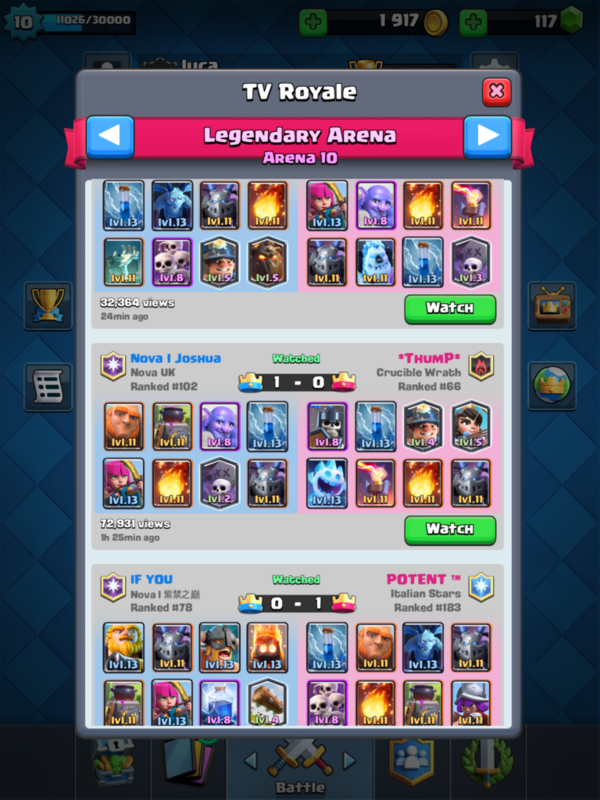 Conclusion: Zap has remained in the meta since the release of the game, and it looks as though it will stay there forever. It is just too versatile to exclude in a deck. It is excellent on both sides of the battlefield, capable of killing small troops or stunning the enemies to allow your troop to get one or two more shots off. The fact it can reset troops’ attacks or a building’s charge is just an added bonus. An effective zap can essentially turn the tide of the game. It is one of the best cards in the game, and that is the reason why it is seen in so many decks. Description: “This chill caster throws ice shards that slow down enemies’ movement and attack speed. Despite being freezing cold, he has a handlebar mustache that’s too hot for TV. 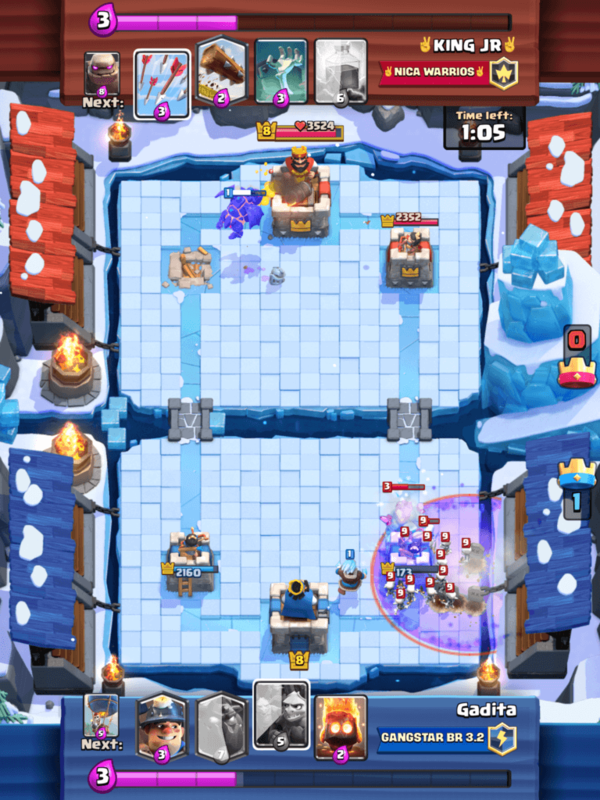 Strategy: When confronted with a massive push, put an ice wizard down and a high damage unit such as a Mini Pekka to stall the opponent’s push. Miner and Ice Wizard is an excellent combo which allows you to get a lot of damage on the tower. Many people underestimate how strong this combo actually is. Place it down with an offensive push to slow down any defensive troops your opponent may place or to take out small troops such as minions or goblins. What seems like a weak push deals 2200 damage on the tower simply because of the Ice Wizard’s devastating slow effect. 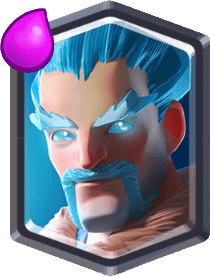 Conclusion: The Ice Wizard is arguably the most versatile troop in the whole game. 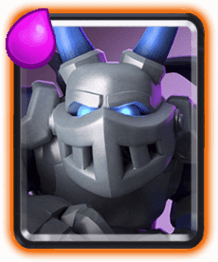 It can slow down entire pushes, denying the opponent vital damage on the tower and allow your other troops to take them out. Its abilities also excel offensively, slowing down buildings or enemy troops and allowing your troops to get more damage on the tower. Its slow effect is frustrating for your opponent on both offense and defense, and its tankiness allows it to survive a fireball or absorb a lot of enemy damage. Description: “The Miner can burrow his way underground and appear anywhere in the Arena. It’s not magic. It’s a shovel. Place it on an elixir collector or princess for a hard counter. Use it to chip down the last of the tower’s health. Use it as a shield for your small troops or high damage troops to latch on to the tower. The miner and lumberjack combo shreds the tower, reducing it to only 52 health. Conclusion: Topping off this list is the miner. The miner is an excellent card for many reasons. 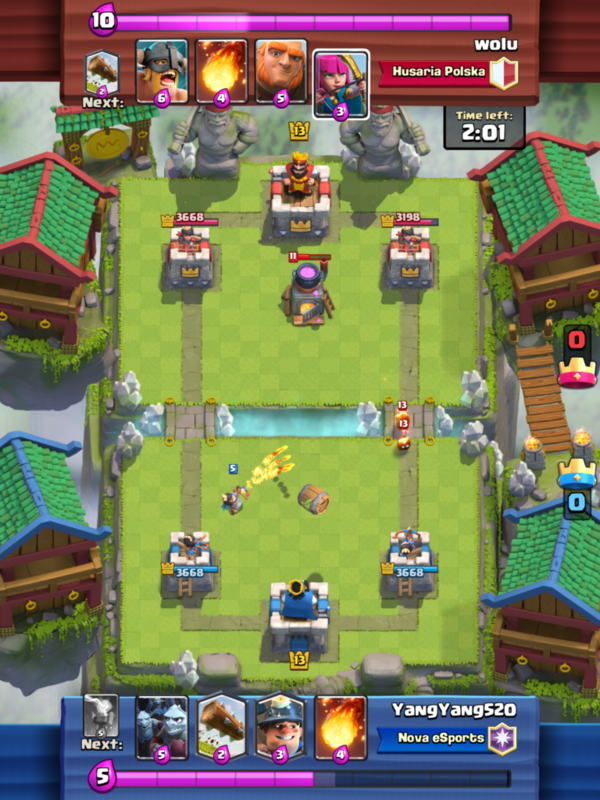 It opens up a variety of possibilities, allowing you to start a counter push, distract the tower, or even shut down princesses and elixir collectors. The miner can fit in practically in any deck, opening up hundreds of possibilities for the user. It can chip down towers if need be. It can start a great counter push with the remaining troops from the defensive stand. 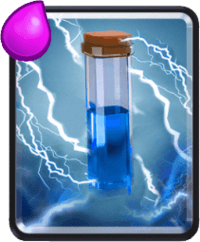 It can create an equal elixir trade with the princess, and give you a great advantage against an elixir collector. 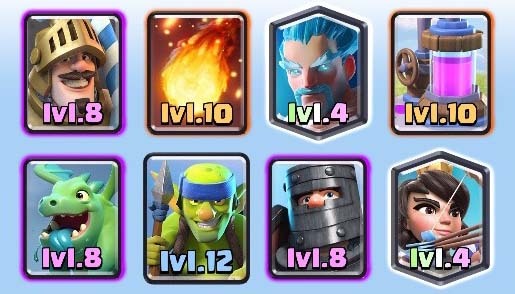 This is the reason I believe that the miner is currently the best card in the game. ada update clash royale untuk maret 2017? I use Zap, Skeleton Army, and Ice Wiz, but I want the full payfecta. 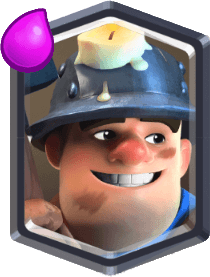 Miner is awesome….It can be used as a tank being dropped anywhere in the arena or like goblin barrels for supporting tanks… lightning and rocket are only spells that can counter it,without any damage on tower …..thats double elixir than miner.